Departments are looking for smarter, faster and cheaper enterprise solutions. Today, you can get a pre-configured as-a-Service solution designed to meet government standards and regulations. Running your enterprise as-a-Service means it is perpetually current with solution upgrades occurring in specified time frames without additional investment. Smarter. Cheaper. Faster. With a standard set of services, AESG can be supplemented by manageable customer specific customisations. Parts of the services can be personalised. This allows government organisations to adapt a standard AESG solution to meet a range of unique requirements. Smarter. Cheaper. Faster. Unlike traditional enterprise resource planning (ERP) solutions, AESG accelerates ERP deployment. It’s a transition-in process. Delivered as-a-Service, AESG is flexible, permitting users the option to scale usage—up or down—instantly and in real time without licensing limitations. Multiple agencies or functions can be accommodated simultaneously. The solution is enabled by cloud. Tested globally in over 1,000 SAP implementations, AESG uses Accenture’s high-performance process framework, backed by our tremendous security and R&D investments. Smarter. Cheaper. Faster. Accenture Enterprise Services for Government (AESG) is an enterprise-grade portfolio of 300 high performance business processes that enables enterprise functions—finance, procurement, HR and payroll—to operate from a single system. This as-a-Service solution is running across 30 NSW agencies and 36,000 users. By being multi-tenanted, AESG is scalable to accommodate multiple agencies, facilitating open and transparent operations and freeing staff to concentrate on front-line initiatives to improve citizen, customer and staff experiences. The NSW Department of Justice has introduced cloud-based SAP for payroll, human resources and other business processes removing the administrative burden for around 15,000 staff. The service will span business processes for the entire justice sector. By standardising business processes, AESG can help reduce costs by approximately 25-30 percent. As-a-service delivery reduces system maintenance costs while streamlining service offerings, reducing resources required to deliver enterprise functions. Since 2009, the AESG platform has reduced ICT costs for the Singapore Government by around 30 percent. AESG’s pre-built business processes have been developed specifically for New Zealand government departments, accelerating ERP deployment enabling a shorter time to go-live. The NSW Department of Family and Community Services needs flexibility to adjust to community and disability reforms. Accenture will implement SAP-as-a-service, migrating to the cloud, hosted out of the state’s GovtDC data centres. Kal is a Managing Director for Accenture. He is responsible for Accenture Enterprise Services for Government in ANZ, working with federal, state and local public service organisations to establish a smarter, cheaper, faster back office, allowing them to reinvest and focus on their core mission of delivering services for Australians and New Zealanders. A 25-year career in the software industry working with commercial and public service organisations has given Kal the opportunity to help government agencies achieve successful outcomes for their visions—and better deliver citizen services. Before joining Accenture Kal spent 10 years with SAP and held a number of leadership positions including general manager, Local Government. Kal lead a team of SAP professionals dedicated to achieving efficient and effective public service in Australia's State and Local Governments. Kal lives in Melbourne, and in his spare time, he is a keen cyclist and surfer. 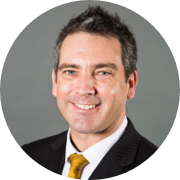 Craig is a Senior Manager within Accenture Enterprise Services for Government in Australia and New Zealand. He has been with Accenture for over 24 years performing various roles, including program delivery, solution architecture and business development. Across his Accenture career Craig has worked primarily within the Government and Resources industries with particular focus on Education, Government Shared Services and the Energy sector of the Resources industry. A graduate of the University of Queensland Craig lives near Brisbane and in his spare time takes advantage of the activities that Moreton Bay can offer. Accenture has identified seven critical success factors for providers of ERP-as-a-Service. On the flip-side, there are five things that ERP-as-a-Service consumers should demand. Having the perspective from both sides can give you a better understanding of what to expect. Ten-year partnership to deliver SAP-as-a-Service. Accenture has secured its second sizeable ERP deal with the Department of Justice to deliver Software-as-a-Service SAP functionality. Shift to New IT with market-differentiating, digitally-powered industry solutions using SAP cloud, SAP S/4HANA, big data, social, analytics and mobile. SAP ERP solution helps to improve operational efficiencies to unlock business value for Loblaw Companies Limited. Learn how Accenture implemented a new ERP platform to strengthen and accelerate operations to enable future growth. Accenture has been selected following a competitive procurement process to implement a new financial management system for the City and County of San Francisco. Industry analysts consistently rank EMC® as a leader in its field.